Protecting your identity is more important than ever now in 2014. There are so many different ways that thieves can steal your identity, you want to make sure you take every precaution necessary to make sure you don’t lose any valuable information. Something as simple as throwing out a letter that has even a little bit of your information on it, makes it that much easier for someone to take your information and ruin your credit. 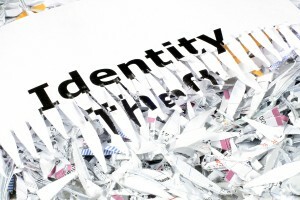 The easiest way to make sure you are protected is to shred all of your documents. That way you don’t leave any open opportunities for someone who may be looking to open an account in your name. If you run a business it is extremely important to make sure that you shred your documents, not only for the safety of your business, but also the privacy of your employees and clientele. In most professions it is actually required by law to destroy your paperwork. Some companies have had to pay pretty hefty fines or even lost their businesses due to not disposing of their documents properly. Even if you don’t own your own business, but you want to destroy your personal papers there are plenty of reasons you should protect yourself. You get so much mail everyday that contains your information that it makes it hard to figure out what you should shred and why. Even if someone gets your mail and they aren’t trying to steal your identity, they are able to find out personal information about you and find out anything you subscribe to. It is much easier just to shred all of your paperwork as opposed to finding out that someone has accessed your information later in the future. Shredding paperwork doesn’t have to be a hassle, it is actually very accessible these days. If you just have a box or two of paperwork there are drop off locations all across the country that you can take your paper into that usually charge right about a dollar per pound to shred for you. If you have more than a couple of boxes, the best way to go would be to get a mobile shredder to come out. When a mobile shredder comes to your location they can usually shred everything right in front of you that way you know your documents have been destroyed. If you would rather they come and grab your boxes and take them to their location to shred them, that works as well and then they can send you a certificate of destruction. Let’s get shredded in 2014! Get competitive bids for shredding in just a few minutes from the best in the business.